He said the four national tenants were notified Tuesday that Council rejected the proposed changes to the planned unit development for Main Street Oak Ridge. The potential tenants will be notified if something changes. But it wasn’t clear Tuesday if those retailers, who haven’t been publicly identified, would wait for a resolution in Oak Ridge or move on to other developments in other communities. In the meantime, RealtyLink will still be property owners in Oak Ridge. But there will be no development at Main Street in the foreseeable future, Wilson said. For now, that means Main Street could remain, as it was described on Monday, as a “half-built shopping center.” Besides the 10 stores already built and a few other businesses on nearby parcels, there is a Burkes Outlet store under construction next to Electronic Express and a building under construction by Walgreen’s. The revised plan would have included potential small retail shops and a possible restaurant near Belk and Cinemark Tinseltown. It would have also included two small open space areas, possibly about 1/3 to 1/2 of an acre each, with one area near the American Museum of Science and Energy and the other near Belk and Cinemark Tinseltown. And it would have included future retail or commercial development areas along Rutgers Avenue. People who had supported the revised plan said Oak Ridge didn’t have the leverage or the retail expertise to dictate what should happen at the shopping center. They said the city and county need the retail development and the expected sales tax and property tax revenues. They pointed out that the original plan for Main Street was prepared by an earlier developer who is no longer part of the project. That plan, which is still in effect, had included the apartments and mixed-use areas and has been cited by Oak Ridge residents who say they were promised something different. But rejecting the revised plan, the supporters warned, could delay the rest of the project for several decades, and RealtyLink, one of a half-dozen firms of its type, could move on to other projects in other communities. Rejecting the plan would do great damage and “set the city back,” the supporters said. But those who had opposed the revisions said the proposed plan was a significant change. They said the project had been envisioned as a mixed-use city center but might be, at least for now, primarily a shopping center. They emphasized the need for restaurants at the site; advocated for unique stores, as opposed to chain stores; and objected to the plan to close the access road from Rutgers Avenue to the roundabout. They didn’t like the proposed self-storage facility or having the mixed-use development designated to the future phase along Wilson Street, and they requested changes to sidewalks and parking lots as part of an effort to ensure a pedestrian-friendly development. They said they wanted open space, a central gathering place, and they sought a center where they could go to buy a beer or buy a T-shirt, a place, some said, like Market Square in downtown Knoxville. Wilson, who stood to answer Council’s questions for hours at the December and January meetings, said there was a “disconnect” between what the majority of City Council wanted and what RealtyLink could deliver. “We’re not going to promise something that we can’t deliver,” he said. He said retailers are “driving the bus” on this development, not him and not the City of Oak Ridge. Wilson said he has enjoyed working in Oak Ridge, and it’s unfortunate that the city’s expectations are not aligned with what RealtyLink believes it can do here. “We’ve done it hundreds of times, and we know what we’re doing,” Wilson said. He said he doesn’t see a way to resolve the differences between what RealtyLink proposed and what City Council wants. Pictured above is the current PUD master plan for Main Street Oak Ridge, which was approved in 2015 when Crosland Southeast was the developer. The plan for Main Street Oak Ridge had been to build phase I. If that was successful, as it has been reported to be, then phase II, the next phase, would be built. The goal had been to open the next phase by the spring of 2020. Then, if phase II had succeeded, phase III would be built. A mixed-use development area in front of the American Museum of Science and Energy could have been completed as part of this third phase by 2025, and the self-storage building could have been completed by the spring of 2020. Wilson had anticipated that Council members would be very proud of the project, if they were able to “fast forward” in time three to six years. But now it’s not clear if either phase II or phase III will be built, and if so, when. Voting for the revised plan on second and final reading on Monday, which would have allowed work to proceed on phase II, were Oak Ridge Mayor Warren Gooch, Oak Ridge Mayor Pro Tem Rick Chinn, and Council member Kelly Callison. Voting against it were Council members Jim Dodson, Derrick Hammond, Chuck Hope, and Ellen Smith. All seven had voted for the revised plan during a special meeting on December 18. Hope was the first Council member to raise concerns about the revised plan at the eight or so meetings attended by Oak Ridge Today, and he talked to the Oak Ridge Municipal Planning Commission meeting in October, when a vote on the revisions was postponed. Hope did not agree with many of the changes considered on first reading in December, but he wanted to keep the project moving along so he voted for it. However, he then wanted certain requested information brought back to Council, including information requested by other City Council members, by the January meeting. Hope wasn’t satisfied with the response as of Monday, so he said he went back to his original position. Dodson, the City Council representative on the Planning Commission, said he voted differently between the first and second readings because many Oak Ridge residents had strongly opposed closing the access road from Rutgers Avenue to the roundabout. “Most in our community have come to regard this access point as the main entrance they use to Main Street,” Dodson said. It’s been cited as an important connection to the Woodland neighborhood for both pedestrians and vehicles, Dodson said. “We could consider this entrance as an opportunity to entice more shoppers to the development rather than a barrier,” he said. In addition, a list of conditions brought to City Council by the Municipal Planning Commission in December had been severely diluted, Dodson said. Those conditions were revised by Council in response to RealtyLink’s concerns. In December, Dodson said he has talked to many people by email, phone, and in face-to-face conversations. “Every single one of them has agreed that they want a true heart of our town,” he said. On Tuesday, Hammond said he voted for the revised plan in December on first reading with the understanding that there would be more time to research and discuss the retail project, which he believed was a good one. On Monday, Smith said she wants a downtown, not a shopping center. She said she doesn’t think a “strip shopping center” is the only model that works. She said she would like to see new businesses, but in a different configuration than a strip center. Smith also said she wanted to balance the short-term sales tax revenues that could be gained from additional development at Main Street Oak Ridge against longer-term needs. She said she didn’t want to scare RealtyLink away, but she wanted to negotiate the needs of the tenants with community goals. In addition, she said the Rutgers Avenue access to the roundabout, which would have been removed under the revised plan, could continue to benefit businesses like Belk and Cinemark Tinseltown. “I really hope that you all can give us a design that would better meet the needs of retailers,” Smith told Wilson. But Wilson, who said he doesn’t perceive of Main Street as a strip shopping center, said retailers would rather have more stores than a roundabout. Wilson had previously addressed the concerns about the access road from Rutgers Avenue to the roundabout. He has said Main Street Oak Ridge is an unusual development that has 12 entrances. There are four entrances to Main Street from Rutgers Avenue, Wilson said, and removing the access road from Rutgers Avenue to the roundabout would just reduce the number of entrances to three. Also, Rutgers Avenue is not the road with the most traffic, he said. South Illinois Avenue, Oak Ridge Turnpike, and South Tulane Avenue all have more traffic. He said his company paid for the roundabout, suggesting he would prefer not to remove it if he didn’t have to, but that’s what retailers want. Responding to concerns about mixed use, Wilson said the revised plan would still have proposed mixed-use areas, even if they moved to Wilson Street. They would still be as large as originally envisioned, at least in terms of acreage, according to reporting by Oak Ridge Today. And the mixed-use development, possibly as part of the project’s third phase, could include residential units. Separately, in a project that is related to the Main Street Oak Ridge development, a 217-unit apartment complex has been proposed at the former American Museum of Science and Energy site on South Tulane Avenue. Wilson said Main Street Oak Ridge would end up with more mixed-use development than people realize. Regarding the proposed self-storage facility, Wilson told Council members on Monday that a market study was favorable to that proposal, and the favorable market study makes lending more favorable. That facility would have been on Rutgers Avenue behind other stores. “I thought self-storage was a good use,” Wilson said. Oak Ridge officials were going to consider a text amendment that could have allowed a self-storage facility in the type of zoning district used at Main Street Oak Ridge (UB-2 or Unified General Business with a planned unit development overlay), but that amendment was tabled at a recent Planning Commission meeting. Several planning commissioners and other residents suggested or asked that Council not approve the revised plan on Monday, and they raised other concerns at recent City Council and Planning Commission meetings. Some said they want more than a shopping center, and a few asked Council not to settle for less. On Monday, Planning Commission Chairman Stephen Whitson asked Council to either revert back to the original Planning Commission recommendations without changes, or deny the revised plan. Two other planning commissioners, Jane Shelton and Zabrina Minor Gregg, echoed those comments, at least to some extent. Shelton suggested Council deny the revised plan, and Minor Gregg said Planning Commission had compromised with RealtyLink, and Council should look again at Planning Commission’s original recommendations. Among those who advocated for approving the revised plan, Chinn said his business has increased dramatically because of the Main Street Oak Ridge project. Other developers also have more business, Chinn said. In December, he said sales tax revenues in the Anderson County portion of Oak Ridge have been dramatically better. The proposed new stores would add to sales tax revenues and help fund Oak Ridge infrastructure and schools, Chinn said Monday. “This is a once-in-a-generation opportunity,” he said. Rejecting the proposal could mean another 20-30 year wait for Oak Ridge residents, who waited years for the former Oak Ridge Mall to be redeveloped as Main Street Oak Ridge. Also voting for the revised plan, Callison said Crosland Southeast, the original developer, set expectations that, “quite frankly, weren’t realistic.” (Chinn said the company promised “pie in the sky.”) The next phase of the Main Street Oak Ridge project is critical to the city, Callison said before the vote. Gooch, the Oak Ridge mayor, presented slides that showed people came to shop at Main Street Oak Ridge from as far away as Jamestown, Bradley County, Morristown West, and Gatlinburg. He cited the importance of not having to raise property taxes, especially with four active residential developments in the city, and he pointed out that local property and sales tax revenues from projects such as Main Street help fund Oak Ridge schools. Gooch said he has talked to hundreds of people, including during the recent election campaign, who support Main Street and RealtyLink. He pointed out that downtown Knoxville, which has often been cited in the Main Street Oak Ridge discussions, took 40 years to develop. It wasn’t built in a day, Gooch said; neither will Oak Ridge’s city center. Main Street Oak Ridge has a potential customer base of about 200,000 people, including in the trade area to the north and northwest, Gooch said. Seeking to help persuade Council, Ray Evans, the city’s retail consultant who has been working on the project for more than six years, told Council members that he was once an idealist on the development but is now a realist. “This was and continues to be a buyer’s market, not a seller’s market,” Evans said. Retailers will designate a certain number of new stores per year, he said. If Council were to reject the revised plan, the retailers will put their efforts elsewhere, and they may not come back, Evans said. If Council were to reject the plan, Evans said, his fear is that nothing will happen, revenues won’t increase, existing retailers could diminish sales, and the city will have a half-built shopping center. Evans advocated for Jackson Square, Oak Ridge’s original town square, as a far better place for mixed-use development and a town center. Main Street Oak Ridge could have national retailers, and Jackson Square, where some $2.5 million has been invested or is being invested, could offer restaurants and unique stores, Evans said. 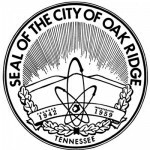 Like Evans, the Oak Ridge city staff had recommended approving the revised plan. Oak Ridge City Manager Mark Watson called it a “really critical step.” He said the project was important for school funding and property tax values, among other things. Wilson said RealtyLink has compromised and done the best it can with a plan originally proposed by another developer. In October, he said the first phase of Main Street Oak Ridge had exceeded expectations. He said RealtyLink has invested between $60 million and $70 million in the project, and could invest more than $100 million, including the redevelopment of the former AMSE property on South Tulane Avenue. It’s not clear how much time RealtyLink will be able to devote to its Oak Ridge project for now. Wilson said his main client is Topgolf, and he is working with them on projects from the Southeast to the Northwest. There are only so many hours in a day, Wilson said. “You have to use it to benefit yourself and your company,” he said. See previous two stories here and here. See more Main Street Oak Ridge stories here. See the Main Street Oak Ridge site plan here. See the Monday night City Council agenda here.